Thank you guy. 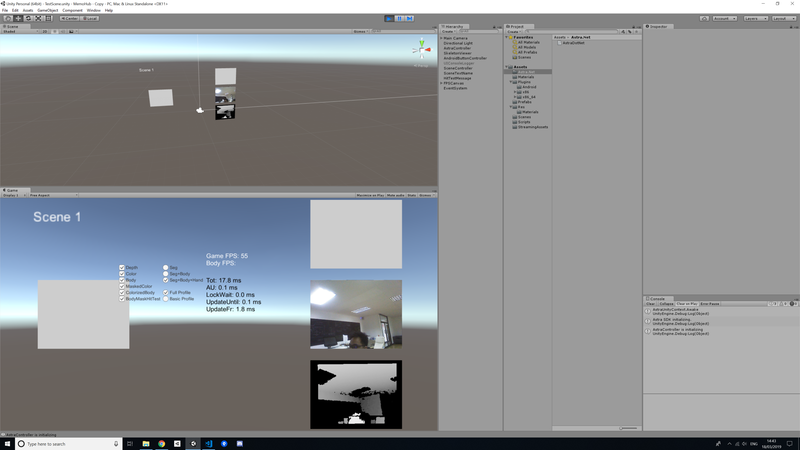 I fixed it by downloading the correct version of unity sdk. Which camera you're using with the Unity? In my opinion, standing a little bit further and making your whole body in the FOV would be better.